MCTs are found in some foods, and MCT oil is also available as a supplement. In the body, MCTs are converted to ketones, which provide fuel for your body to carry out all of its vital functions. They boost the action of mitochondria, the powerhouses of your cells. This helps to provide increased energy for all of your biological processes and improve both physical and mental performance. MCTs are medium-chain triglycerides. These are a type of fat molecule which are found naturally in foods such as coconuts, coconut oil, palm kernel oil, and at lower levels in high fat dairy produce such as butter from grass-fed cattle. MCTs are converted to ketones by the liver. Ketones act as an effective source of fuel for your cells. They are considered much “cleaner” than other sources of energy such as glucose or other carbohydrates. This is because they produce fewer reactive oxygen species (ROS) which can cause oxidative stress, damaging tissues and causing disease. 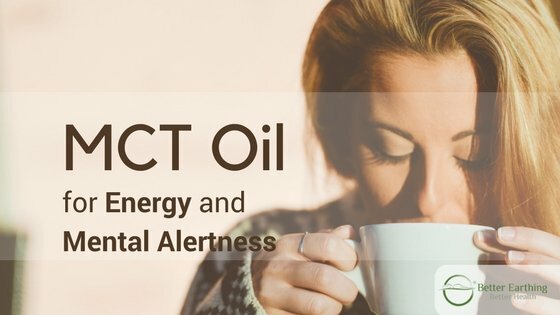 As well as providing a good source of energy, MCT oils have a number of other benefits. Firstly, they are easily digested. They pass through the walls of your intestines into the blood, where they are carried to your liver to be converted into ketones. These ketones are then released directly back into your bloodstream and transported throughout your entire system to fuel your body and brain. Not only can MCT oils improve energy and mental function, but they can also contribute to weight loss. They do this by reducing body fat and suppressing a hormone called ghrelin which triggers hunger. This reduces your appetite, which along with a healthy diet and exercise can help you to shed excess pounds more easily. There are four types of MCT. They are all part of a group of fats called medium-chain triglycerides. Fats are made up of chains of carbon and hydrogen atoms. The numbers in the names of the different types of MCT refer to the number of carbon atoms in the chain. The more carbon atoms, the longer the chain. This is important because different types of MCT are used differently by your body. Generally speaking, the shorter the chain of the fat, the more effectively it will be converted into ketones to provide fuel for your cells. MCT Oil vs Coconut Oil – What’s the Difference? Coconut oil is a good dietary source of MCTs. It contains a mix of all four types of MCT. However, it is mostly made up of lauric acid (C12 MCTs). These are less readily converted into ketones by your body than C8 or C10 MCTs. Lauric acid is a natural antibacterial, antiviral and antimicrobial. This, along with its moisturising properties is what makes coconut oil such a great natural skin-care product. Taking coconut oil orally also provides some of the benefits of taking MCT oils. However, MCT oils contain a much higher concentration of the shorter chain MCTs which are converted to ketones more effectively. The best MCTs for improving energy and mental function are C8 and C10 MCTs. These are easily converted by your body into fuel. They are also the best MCTs for suppressing your appetite and supporting weight loss. C12 MCTs, as found in coconut oil are less effective at providing energy and shorter chain C6 MCTs can cause digestive issues. Most commercial MCT oil products contain a mixture of C8 and C10 MCTs. A higher ratio of C8 MCTs is preferred as these are the most efficiently converted. There are many different ways to incorporate MCT oils into your diet. They can be added to coffee, chai, and smoothies, or be used as one of the oils in your salad dressing. MCT oils can also bee used in cooking. However, it is important to avoid heating your MCT oils too much as temperatures above 160ºC can destroy their beneficial properties. It is better to cook food first, and then add the MCT oil at the final stage, just before serving. Taking too much MCT can result in unpleasant side effects such as diarrhoea. Start with a low dose and gradually build up over time. A good starting dose is 1 teaspoon daily. Once you feel that your body has adjusted to this dose, you can slowly increase this up to a maximum of around 4 tablespoons daily. If you stop taking MCTs for a while, you will need to start back at a low dose to avoid side effects. You may find that once you have been taking MCTs for a while, you begin to develop a tolerance. This means that taking the same dose will be less effective than before. This is why it is important to only increase your dose of MCTs very slowly and take the smallest amount needed to produce good effects.